Born in Los Angeles, Ca, HAILIE SAHAR spent most of her time performing as a SparKid dancer for the WNBA Sparks. Following this achievement, Hailie made her film debut in the musical, Leave It On The Floor, and her first television credit as Adriana, where she co-starred alongside Jeffrey Tambor in season 3 of Amazon’s TRANSPARENT. 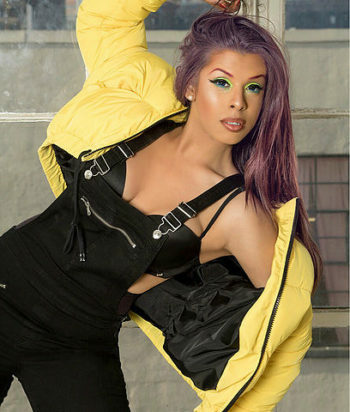 Despite the challenges of growing up in her local L.A. environment, Hailie has persevered becoming a respectable Transgender woman working in Hollywood, being crowned as “Miss L.A. Pride” and “Queen U.S.A.” Sahar is most honored by her invitation to speak at The Ronald Reagan International Trade Center in D.C for the 57th Presidential Advisory Council on HIV/AIDS and most recently, Sahar’s contribution to The East LA Women’s Center against Domestic Violence. Sahar’s 1st music video, CALIFORNIA DREAMS, was released in Jan 2017. Her music showcases empowerment, creativity, and overall artistic visions of her expressions.